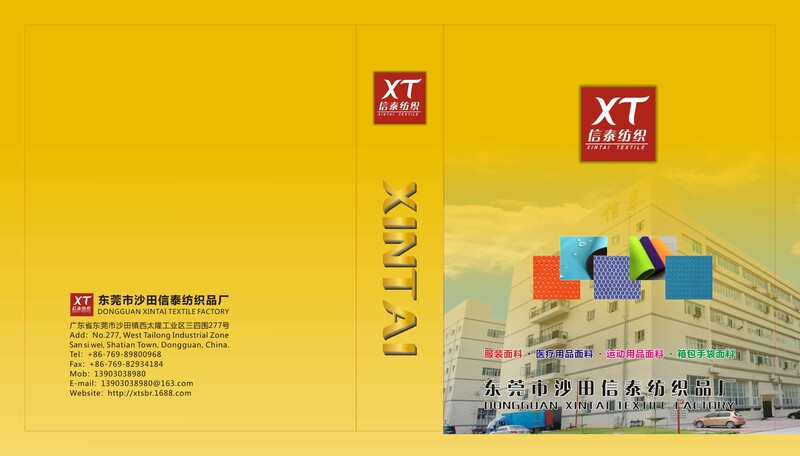 DongGuan Xintai Textile company is owned by a sole enterprise, which is established in 2002, located in the world factory-WestTailong Industrial Zone Shatian Town, Dongguan, China. Enjoying beautiful environment, convenient transportation, we are in the center of Pearl River Delta economic zone area, and across the sea with Guangzhou Nansha FTA. Xintai Textile company is engaged in the production and sales of mesh fabric, Indiana cloth, good plot cloth, cloth-lun, folder cloth, cloth towels, glasses cloth, OK cloth, gluing cloth, from felt, fleece, coral cashmere, cashmere leather, CVC , cotton, polyester, Odile, raincoat fabrics, neoprene, waterproof material, PVC, sponge and other products. 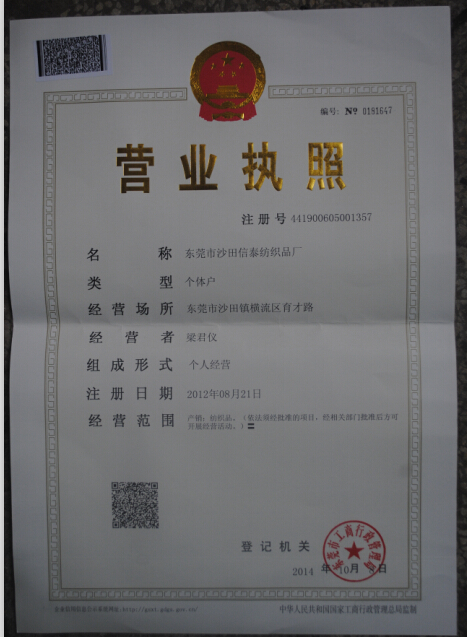 Applied to clothing, gifts, daily necessities, baby supplies, medical supplies, sporting goods, luggage, handbags, shoes, toys and other industries. We have a strong R & D team and had introduced multiple devices, such as the West German Karl, Jesus weft-warp machine, which can develop new fabrics to meet customers’ demands. Entrepreneurial Spirit: Happy work, healthy life, passionate business, optimistic enterprising.